U.S. 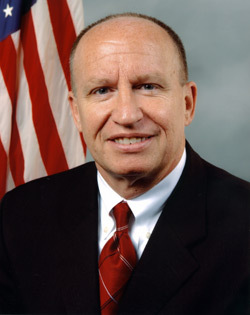 Congressman Kevin Brady (R-The Woodlands) has announced that over $1.5 million has been approved for a Sam Houston State University Regional Crime Lab. This grant allows SHSU to build a Rural Crime Laboratory that will provide services to local law enforcement such as identification of controlled substances, toxicology screening and fingerprint matching. “Our rural law enforcement agencies need their tests done quickly and affordably, and to not get stuck in the backlog in Houston or Dallas. This funding will now create a crime lab that taps the resources and expertise of one of the top criminal justice institutions in the nation, Sam Houston State University,” said Brady. Currently local law enforcement agencies are experiencing significant waits and backlogs while trying to obtain vital information from city crime labs. This funding allows Sam Houston State University -- one of the nation’s foremost criminal justice universities –to build a regional crime lab and utilize its expertise in forensic science while partnering with Walker County to build a Rural Crime Laboratory that will provide vital services to local law enforcement. Funds will be used to finalize the specifications for equipment, prepare the facility space, purchase lab equipment, and hire crime lab personnel such as the lab director and technicians. The lab will be able to service communities in a 75-mile wide area. The funding was included in the Consolidated Appropriations Act of 2008. For more, see a previous Huntsville Item story from October 2006.